Visas security | KEIT ltd. Documents fraud can have a huge impact on a country’s national security and economy. In recent time to help battle with migrant crisis we need better security for all Visa documents. To help government to make most secure Visa stickers KEIT has developed various systems and security features. 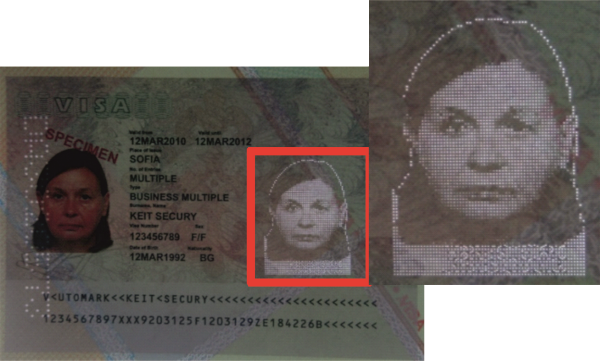 We can improve any Visa sticker security with our Face image perforation and Laser numeration, this will not only prevent forgery, but it will remove possibility for using the Visa sticker to any other Passport. We can further increase the security of the Visa sticker with our security features – encrypted marking and code of material. Our specially designed machine has small footprint, has integrated filtration system and it is suitable for work in office environment. 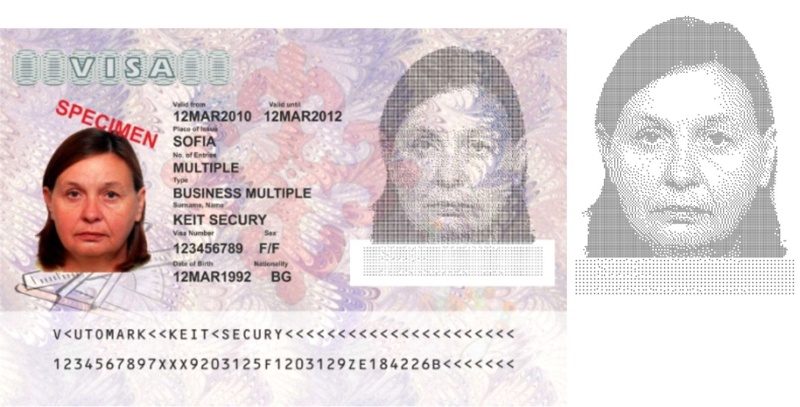 During the visa personalization, an additional security element can be added as an encrypted face image further increasing the security by encrypt information from the visa sticker and preventing data manipulation and forgery.